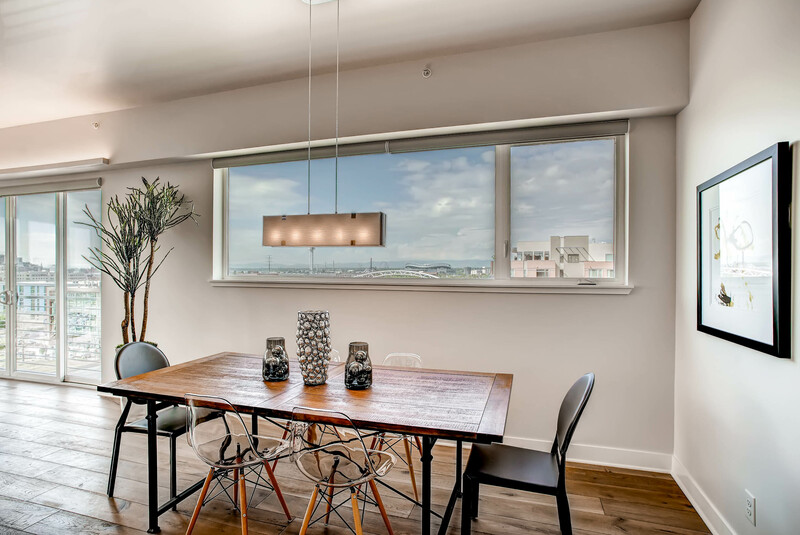 Clean lines, smooth surfaces and an abundance of light flowing into room reinforce the look of this contemporary style condominium in Denver, Colorado. Ornamentation was kept to a minimum to help the space feel larger. 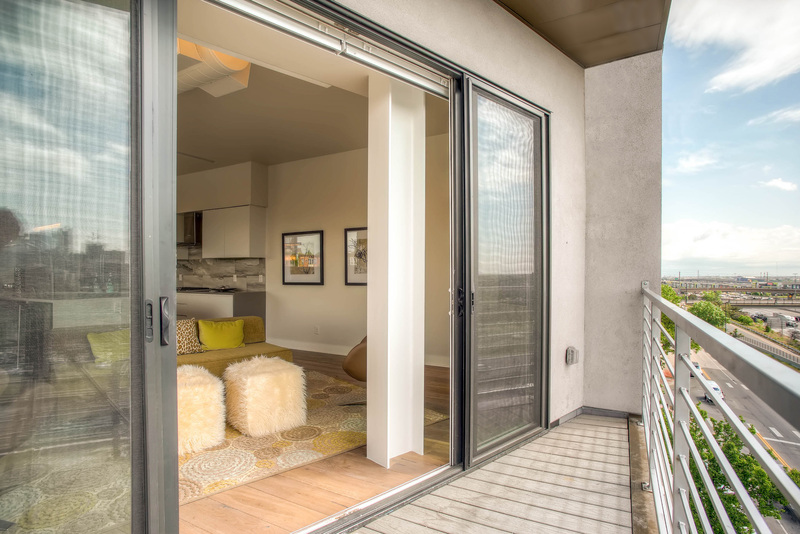 Tuscany Series® vinyl windows and patio doors were chosen for this new construction project. 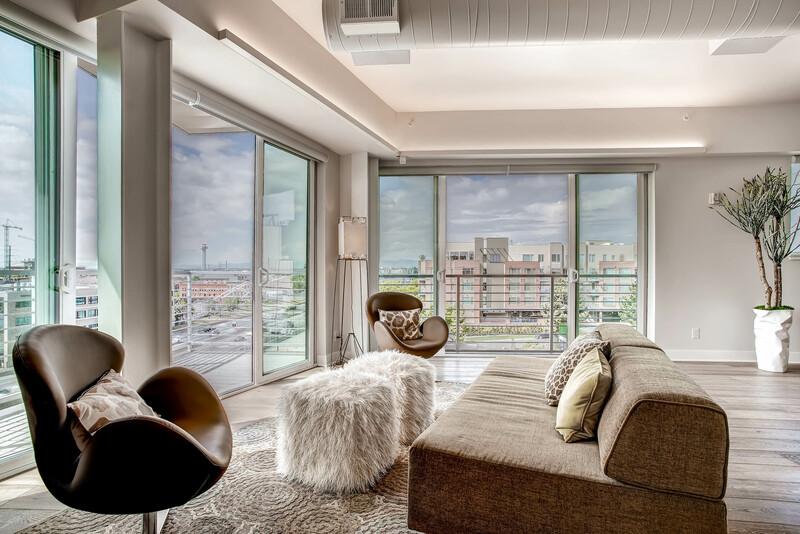 Sliding horizontal windows were a great choice for the design allowing access to the great expansive views of downtown Denver. 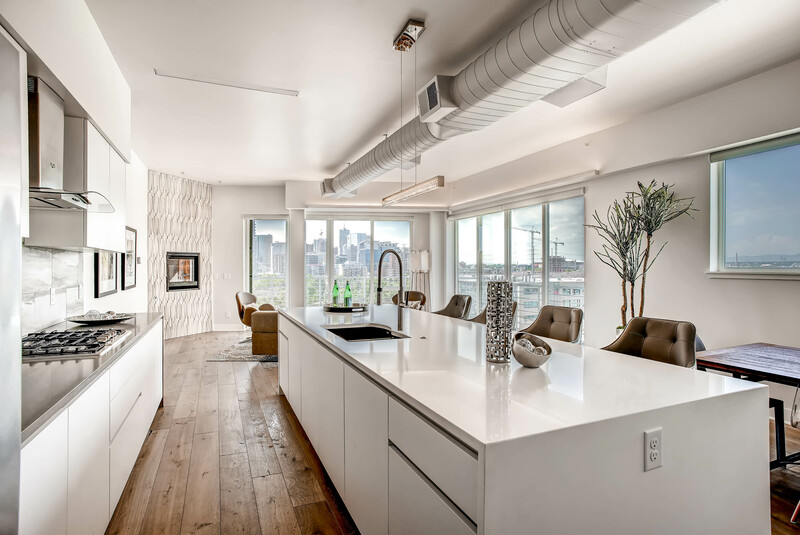 The architect chose to have the vinyl frames painted before installation to continue the sleek appearance that was echoed throughout the rooms. The color chosen was Bronze, for the exterior, which gave a very modern feel. 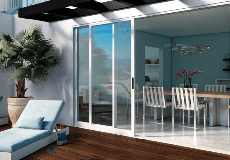 In addition, by using painted vinyl windows, the homeowner will enjoy the look of metal, but, the energy efficiency and low maintenance that vinyl frames offer. The builder appreciated the Milgard Full Lifetime Warranty that will provide the new homeowner with peace of mind for years to come. A great door can gives your home a unique look.